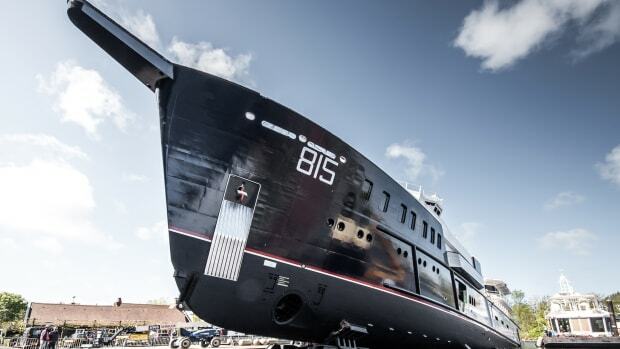 Strategic merger of Oceanco/BMT may lead to the largest Dutch-built superyacht to date. 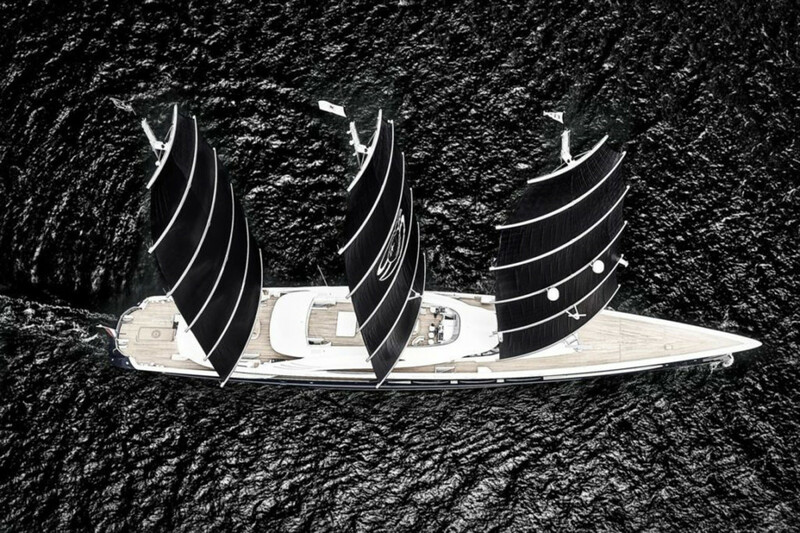 Oceanco and UK-based BMT Nigel Gee have announced a strategic new partnership in the form of a new naval architecture and engineering company: Lateral Naval Architects Ltd. 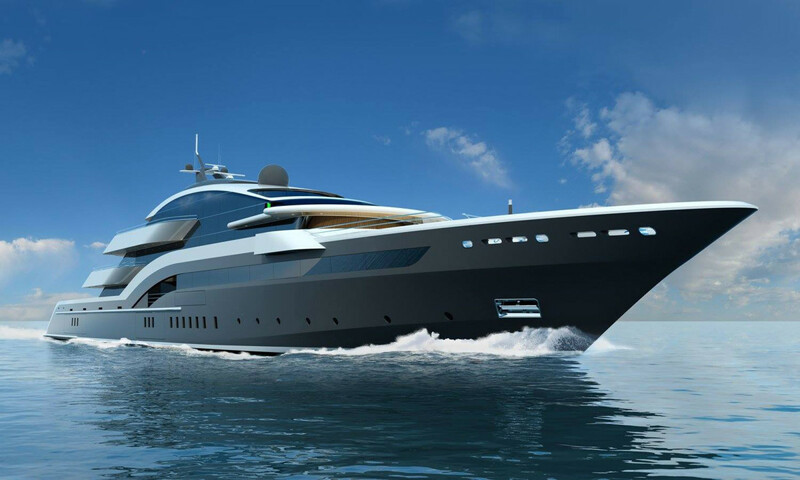 In addition to collaborating with the shipyard’s own engineering team and network of co-makers and subcontractors, Lateral will provide naval architecture and engineering services to the industry as a whole, undertaking BMT’s portfolio in the large-yacht market and building upon its extensive intel and capabilities. 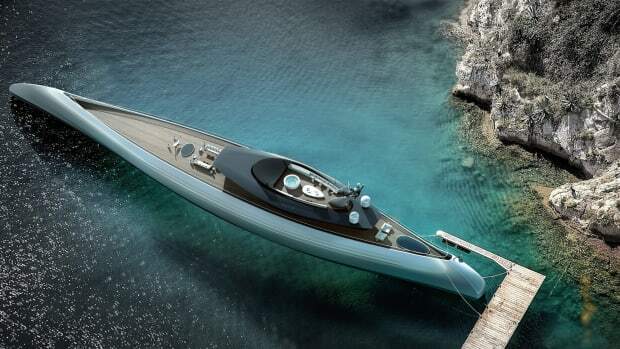 Oceanco and BMT have enjoyed a bountiful history since 2008, when they began collaborating on the development of yachts in the 100-meter-plus range. 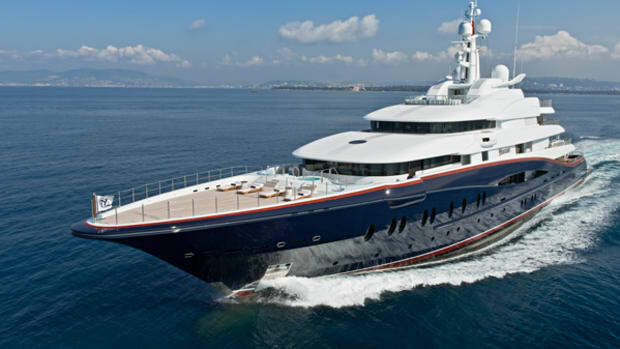 Since that time, the companies together have completed several game-changing projects, including the 300-foot (92-meter) Equanimity, the 278-foot (85-meter) Aquijo, the 361-foot (110-meter) Jubilee, and the recently delivered 344-foot (105-meter) Black Pearl. 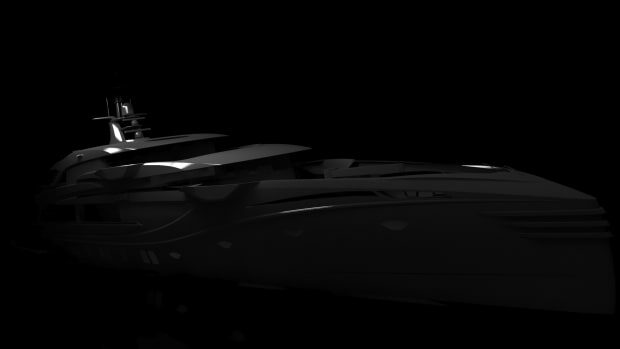 The highly acclaimed 357-foot (109-meter) Project Bravo, poised for an upcoming launch, will represent the first official work completed by the team under the Lateral brand, and is rumored to introduce several technical innovations conceived as a result of the new partnership. "Lateral is a joint venture between our two companies that will deliver to the market more than the sum of its parts," said newly appointed Managing Director, James Roy, who takes on the role after building the yacht division of BMT over the last 12 years. 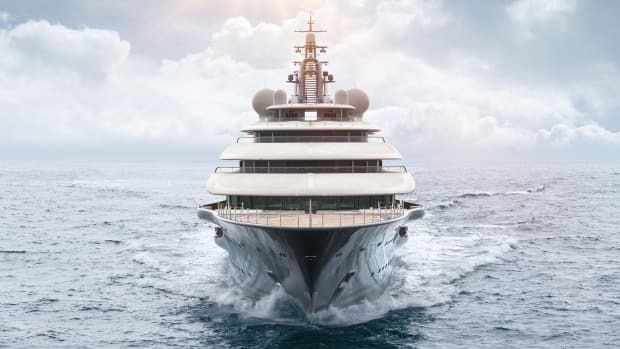 "With our core competence in naval architecture and engineering, Lateral will remain part of the BMT group and benefit from access to the full breadth of BMT&apos;s diverse capability, while at the same time strengthening its own expertise and knowledge through the strategic partnership with Oceanco." Oceanco&apos;s CEO, Marcel Onkenhout, commented further: "With the ever-greater integration of the Oceanco and BMT teams, the formation of Lateral is a natural step in bringing our companies closer together. 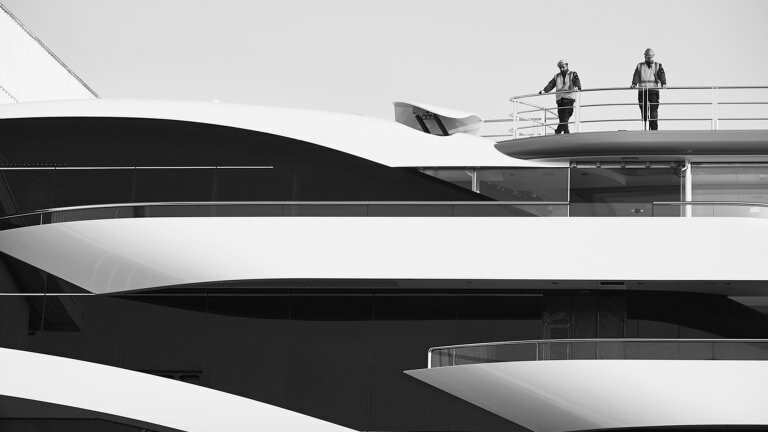 Lateral will not only deliver high quality naval architecture and engineering to Oceanco with greater focus, but will also work with the best across the whole of the superyacht industry to apply expert knowledge and deliver exceptional projects." 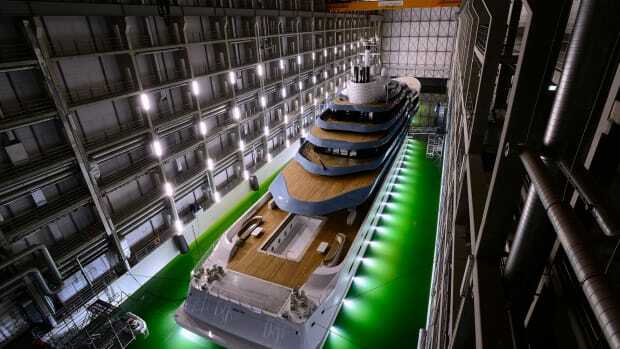 The newly formed company takes its name from a lateral-thinking approach to problem solving, as was demonstrated to Yachts International at a press conference by Oceanco’s Paris Baloumis (coordinated by the HISWA Holland Yachting Group) at Oceanco’s facilities in Alblasserdam, the Netherlands. In a special presentation made on the foredeck of Project Bravo by venerable brand strategist Peter Economidas, the narrative of the Lateral brand is to become “the Apple of naval architecture,” a reflection of its logo, which is a simple array of 9 dots. The challenge thrown to the media members who were present was to draw a line through all the dots with only four continuous lines. 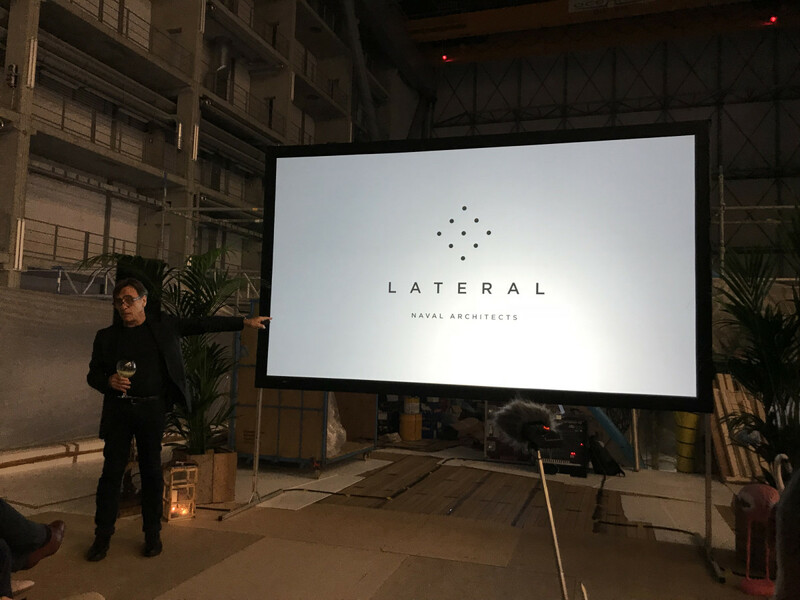 Brand strategist Peter Economidas describes the narrative of the new Lateral brand. Only one media member was able to solve the puzzle. Lateral is located adjacent to BMT&apos;s existing offices at Shamrock Quay in Southampton. The company occupies a two-story studio from where the team of 50 is currently engineering four new builds of over 100-meters, plus a number of smaller projects. 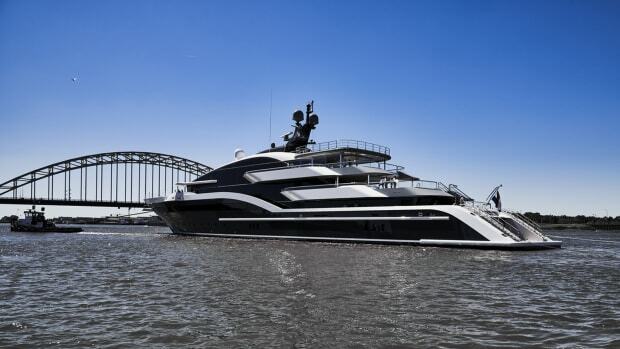 Oceanco’s outfitting facilities were running like business as usual, with work on the 90-meter Project Yasmin (designed by Espen Oeino with an interior by Terence Disdale Design) in full swing. She is due for delivery in 2019. 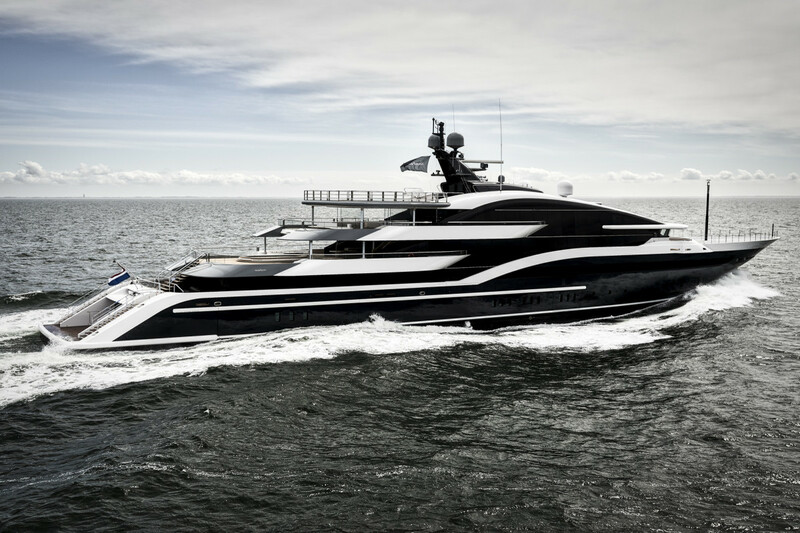 Oceanco&apos;s 90-meter Project Yasmin, designed by Espen Oeino with an interior by Terence Disdale Design. 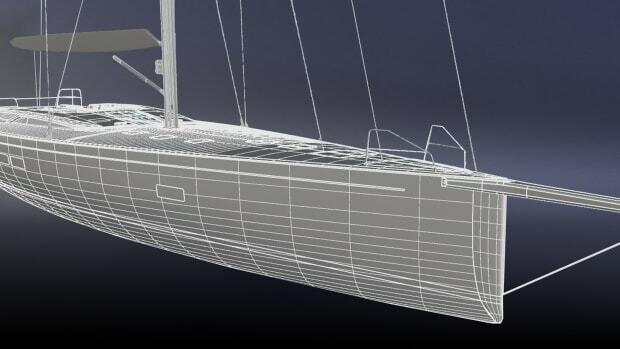 Final touches are being made to the aforementioned Project Bravo, a design by Nuvolari Lenard with naval architecture and engineering by Lateral. 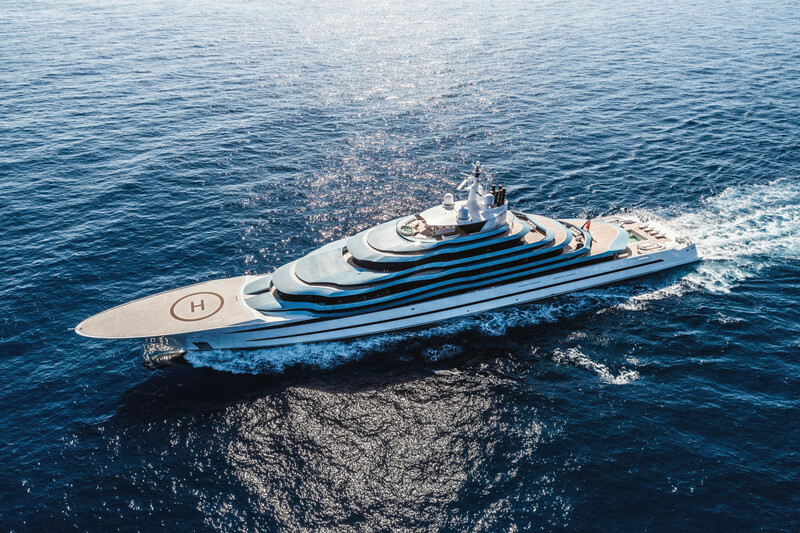 Oceanco revealed three more projects in the works over 100 meters: a 383-foot (117-meter) Espen Oeino-designed yacht, a 357-foot (109-meter) project by Sinot Exclusive Yacht Design, plus a highly secretive, 410-foot (125-meter) project, which will become the largest yacht ever built in the Netherlands. Due to confidentiality agreements, no further details could be revealed at this time. 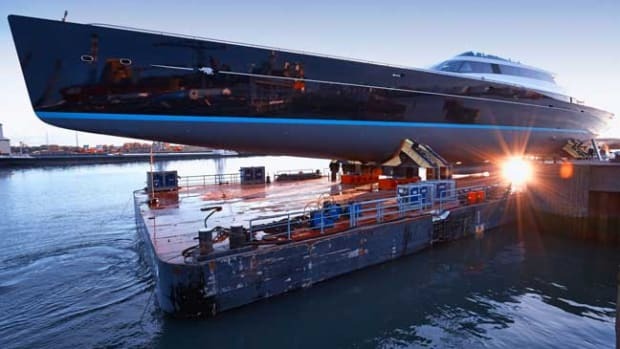 The recently launched 295-foot (90-meter) Luiz de Basto-designed Project Shark could be seen alongside the quay, having completed her sea trials and nearing delivery. Photos unfortunately were not permitted, with the exception of those provided by the shipyard.